The percentage of college students seeking counseling who report anxiety is 61%. 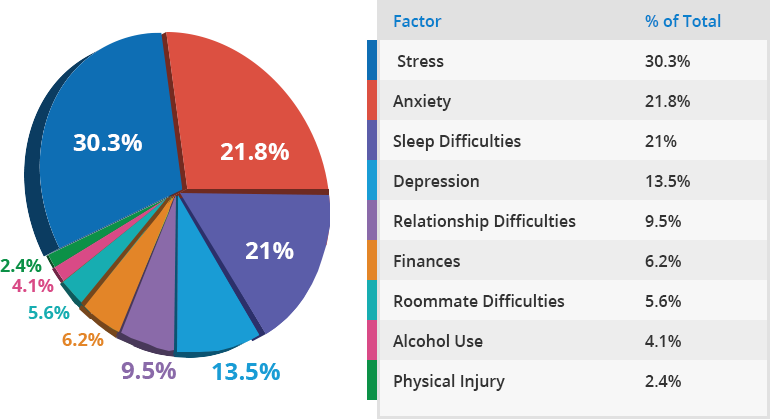 Other concerns include depression (49 percent), stress (45 percent), family issues (31 percent), academic performance (28 percent) and relationship problems (27 percent). Source: Center for Collegiate Mental Health 2016 Annual Report. Available at http://ccmh.psu.edu/publications/.